No this is not one dish that I grew up eating rather it never existed in my recipe book until a few months ago. This spicy, zesty and pungent radish paste is a new found gem for me. I made it on one fine winter afternoon and was sold for life. 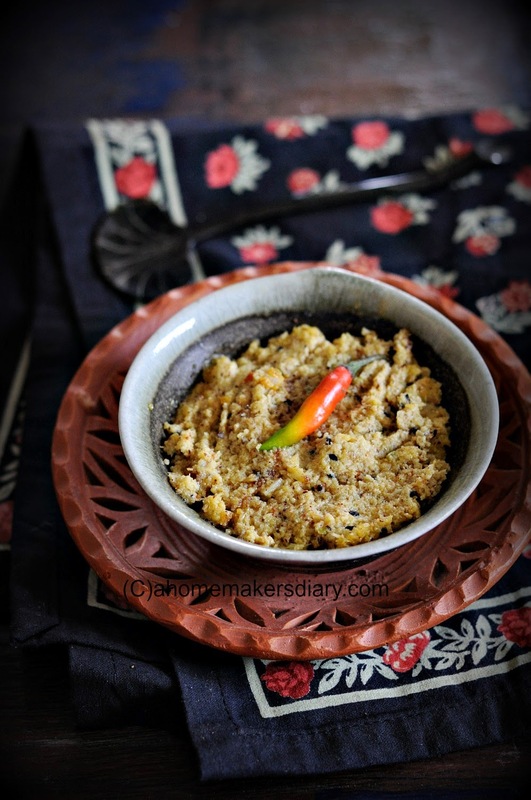 Under its creamy appearnce it hides several layers of taste and the sweetness of the coconut, the zest of the raw radish and the pungency of mustard is all so balanced well with the heat of the green chilies. When mixed with rice this very humble looking dish has the potential to turn a somewhat dull day to a spunky one. 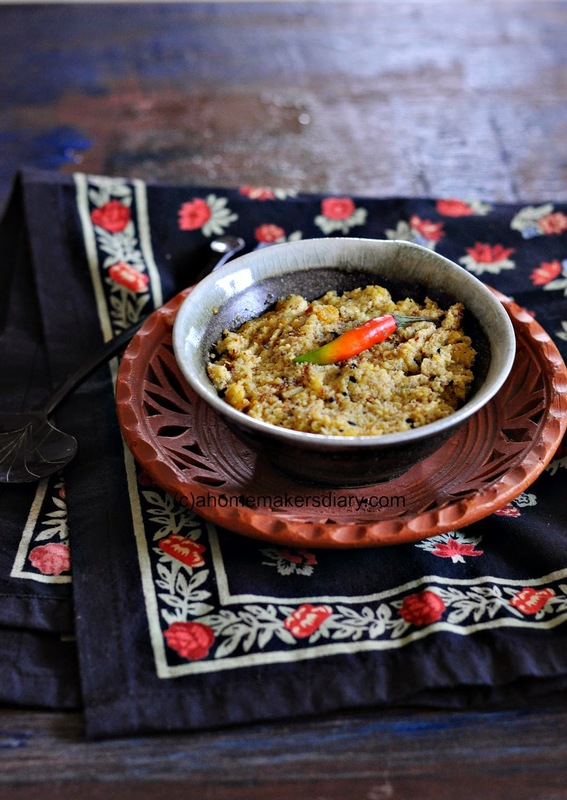 I first saw this recipe on soma's blog who learnt it from Moushumi's mother. and I cant thank both of them enough to bring it into my life. 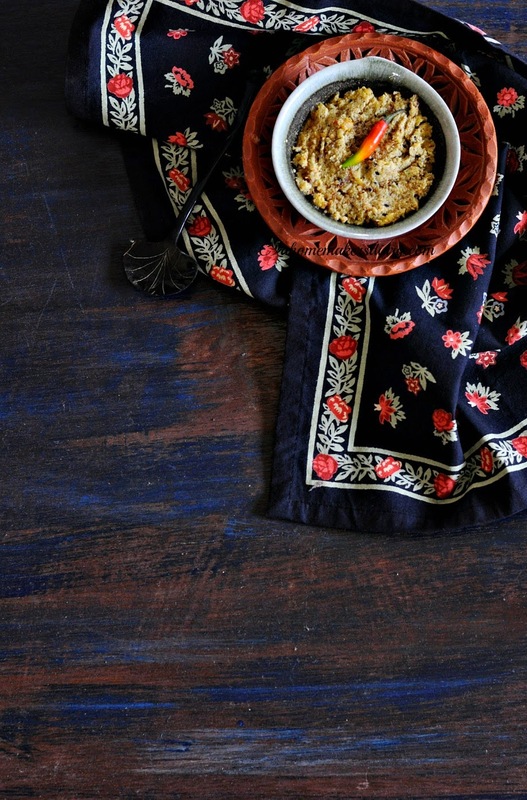 Whenever we see fresh white radish in the market we think of this dish and even my 5 years old has joined the request bandwagon as he loves this spicy relish with his warm plate of rice on these winter afternoons. and thats quite an eye opener for me. I used to think that recipes like these appeal only to the grown ups. Just like bitter dishes but this little young man of mine surprises me every so often. Blessed are those mothers whose kids ask for a second serving of bitter gourd or leafy greens. I dont know if its in the gene, my good karma or something to do the way we try to bring him up but whatever it is am just happy that he is following the family in their love for vegetables and mundane everyday meals. Though I have used the same spices as the original recipe,( which mixes all the pastes and serves it raw) but my cooking method is entirely different. We tasted the raw radish paste and dint like the taste much so I cooked it just the way I prepare laupata bata. So here is my method and here is the original recipe. Wash, scrape, chop and make a paste of the radish with green chilies. Keep aside. Paste the scarped coconut and keep aside. Heat the oil in a small pan. Rub the nigella seeds in your palm and add. Once they start to sizzle add the radish paste and the mustard paste. Sprinkle pinch of salt on top. Cook on low for 3-4 minutes. Now add the coconut paste. Check the seasoning if needed add more salt and green chili paste. This dish tastes best when hot. Cook for another 2-3 minutes and serve hot with extra drizzle of mustard oil on top. Serve with warm white rice. Yours look different than mine. I think I followed Soma's recipe and added dhonepata. I'll try it like your too. It's superhit thing in my house too.